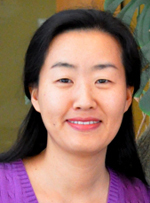 Yonghee is a postdoctoral researcher working with Dr. Jane Cleland-Huang in Software and Requirement Engineering Center. She received her Ph.D. in Computer Science from North Carolina State University under the advice of Dr. Laurie Williams. She finished her MS in Computer Science at Texas A&M University. After she earned her BS in Computer Science from Sookmyung Women's University in Seoul, Korea, she worked as a software engineer for eight years and performed multiple projects. She is currently working on the project for software traceability instrumentation to facilitate traceability research and to support traceability technology transfer. Her research interests include software traceability, software metrics, software security, software reliability, and software testing.